Wild Idaho Rising Tide (WIRT) and allies are postponing plans from tomorrow, Wednesday, March 26, until next week, April 2 to 6, to meet and offer presentations, as described in the March 20 WIRT newsletter, about the proposed Highway 95/200 Mammoet megaloads . 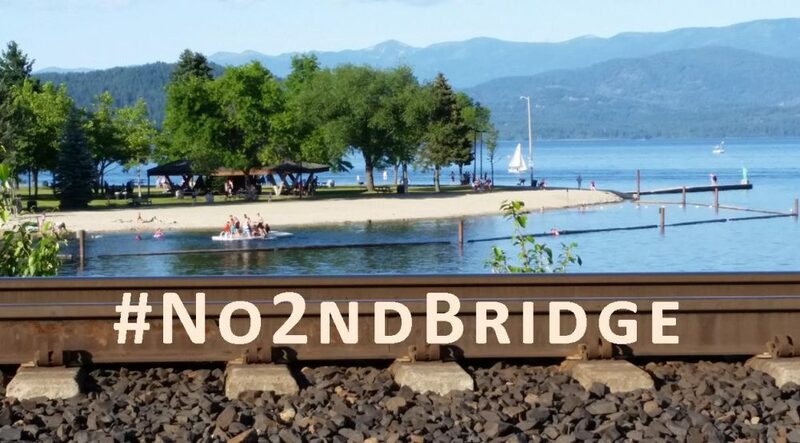 We are working hard to confront these monsters, but the Coeur d’Alene Idaho Transportation Department office did not respond to our public records request by Monday, as required by Idaho law. WIRT is rescheduling our Plummer and Sandpoint convergences and adding Coeur d’Alene and Moscow training sessions during next week and weekend, and will send a full report/announcement about the situation soon. Lesley Haddock, a University of California Berkeley student working on an anti-extraction project with her friend Matthew Gerring, is traveling to the sites of tar sands mining in Alberta and following the proposed Keystone XL pipeline route south through Montana, South Dakota, Nebraska, Kansas, and Oklahoma, to Texas . Relying on a Kickstarter crowd-funding campaign, they plan to document the stories of the many people along their route, whose lives are directly impacted by this pipeline and tar sands projects. They are excited to interview folks who have been involved in megaload protests, at ground-zero of Idaho tar sands resistance, Moscow and the Clearwater Valley. Please call Lesley at 707-293-3253 before she and Matthew depart the area on March 28, or converge with WIRT activists at The Attic at 7 pm on Wednesday, March 26, near downtown Moscow. Lesley and Matthew would like to talk with as many people as possible! Ever wonder about Alberta tar sands development? Learn about it through the direct experiences of six Idaho activists who participated in the third and fourth annual Tar Sands Healing Walks, as they share a presentation and audience discussion connecting Alberta tar sands development with local and regional megaloads, huge pipeline projects, impacts on people and places, and overarching climate change, cultural, and ethical issues . Join us on Thursday, March 27, at 7 pm in the College of Law Room 103 at the University of Idaho in Moscow, and for the third Tar Sands Solidarity Journey from Idaho to the next First Nations-led walk on June 28. Dennis Bernstein of Flashpoints interviewed Helen Yost of WIRT about regional resistance to Omega Morgan megaloads since a temporary federal injunction blocked them from Highway 12 and the Nez Perce Reservation and homelands on September 12 . She promoted this event toward the end of the interview broadcast nationwide from KPFA Berkeley. We are exuberantly anticipating a great party among our north Idaho community at our Saturday night, March 29, anniversary benefit concert . For voluntary admission donations, experience Matti Sand, Mother Yeti, Henry C and the Willards, and WIRT activists rocking the 1912 Center Great Room at 412 East Third Street in Moscow, after the Moscow Volunteer Peace Band parades from Friendship Square to the 1912 Center at 6:30 pm. Enjoy a potluck dinner, beer and wine, and background slides, and dance, sing, and support another year of relentless climate activism: All are welcome! WIRT is seeking event volunteers to hang flyers, solicit (and contribute!) raffle items and beer and wine, haul event materials, staff the door, bartend, and clean-up.